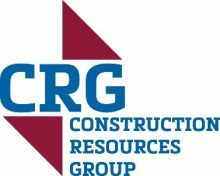 Construction Resources Group was founded in August 2015. CRG was started to offer building maintenance services to commercial building owners and property managers. With hard work and dedication, the company grew one project at a time. CRG is a customer oriented company and we pride ourselves on providing the best value for our customers' projects. Our customers know firsthand that our commitment to the right balance of quality workmanship, time management, and cost efficiency produces the maximum valve. At CRG we strive for high standards in our work and always go the extra step to ensure our customers satisfaction. Our team is passionate about the work we do and cares about our customers. We make sure to establish trust-based relationships with our customers, suppliers, and vendors to ensure each and every project is a success. Ryan is responsible for overseeing the day to day operations along with managing all components of our clients’ projects. He spends a lot of his time interacting with clients and working to ensure their project needs and expectations are being taken care of. Ryan believes the quality of our work speaks volumes of the kind of company CRG is. He would put a giant CRG sticker on every project CRG has ever touched just to let everyone know; “CRG Was Here”. Ryan understands the true importance of genuine customer service and the value of building long-lasting relationships with clients from his years of previous experience in being a territory manager for a large building products’ manufacturer and distributor company. Ryan holds a bachelor’s degree in Sports Management, with a focus on Business Management from Benedictine College. He holds a General Contractor’s License and is licensed to work in Kansas and Missouri. Ryan is an avid baseball fan and devoted family man to his wife, Angela and their 2 beautiful children. Paul comes from an extensive background in accounting, finance and commercial real estate. As CRG’s CFO, he is responsible for the planning, implementation, managing and running of all the financial activities of the company, along with handling the processes for financial forecasting and budgets and overseeing all financial reporting. Paul enjoys seeing new projects get started off the ground and witnessing their transformation from beginning to end. To him it’s not just about projects and bottom lines, it’s about the difference we make for our client. Paul is a graduate from St. Louis University, where he received his bachelor’s degree in accounting. He then later went on to graduate from the University of Missouri Kansas City, where he received his master’s degree in accounting. Paul enjoys spending his free time with friends and family. He is always looking forward to football season to cheer on the Chiefs! On days that the Chiefs don’t play, Paul’s other passion is soccer. Lori wears many different hats for CRG. She processes invoices, sends out invoices to clients, schedules incoming work orders, manages payroll and job costing. Lori has earned her undergraduate degree in accounting and a Masters’ degree in Organizational Leadership and Organizational Development. Beyond her formal education, she has a wealth of experience in accounting and finance, project management and project/cost control management. Lori feels like CRG is her second family. Lori loves building and delivering quality projects for our clients. She feels it is very rewarding to work with a client from the first project ideas to the project completion. Lori is always busy after office hours keeping up with her husband and their kids, who are competitive soccer players. So, when she is not at soccer practices or games, she loves to be at home and spend time with her foster puppies. Lyle has worked in the construction industry 25+ years and has been with CRG from the beginning. He has extensive experience in plumbing, electrical and HVAC repairs, as well as carpentry, drywall, painting and snow removal. Simply put he is our jack of all trades! Lyle always works ensure to his jobs are maintained to the highest possible standard. He fully enforces CRG’s values of quality workmanship while maintaining the best customer service. He upholds his crew by keeping everyone motivated, task directed and productive. Lyle takes pride in looking back at the end of the day to see just how much he and his crew have accomplished.